After years of eventing, I decided I wanted a change so turned my focus to dressage. My horse at the time was more geared towards jumping so I made the difficult decision to sell him and look for a dressage horse. My trainer, Derek Matthews told me about LG Sport horses and Lonnie in particular. As I am a slightly anxious rider, it was very important for me to know as much as possible about any horse I would potentially buy. Lonnie had evented previously but showed more potential as a dressage horse and was more of what I was looking for. Rebecca and Mike told me all of her history and what she was like to handle etc. I felt very comfortable speaking to them and when I came to try Lonnie at their wonderful facility, I http://www.phpaide.com/?langue=en was made to feel very relaxed and welcome. As soon as I got on I knew Lonnie was everything they said she was and immediately fell in love! Soon after I bought Lonnie, my daughter’s horse injured a tendon and was out of action for 6 months, so I let her take Lonnie to her first pure dressage competitions. They won their first 2 prelim classes with scores of over 70% and qualified for the regional championships, which they went on to win and qualified for the National Championships in 2009. This was a wonderful experience for our family and inspired me to try to qualify the year after. 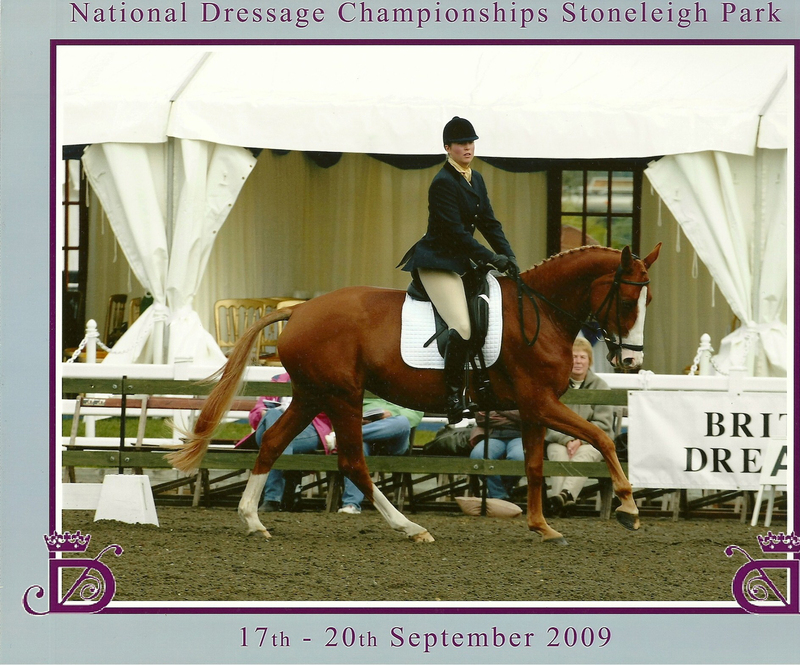 I fulfilled my ambition and reached the regional championships in 2010, which is one of my happiest horse memories and even more special as it was achieved with this wonderful horse. After 30 years of riding I decided to retire and when I told Rebecca and Mike they we’re really supportive of my decision and Lonnie has now returned to LG Sports horse as part of their breeding programme. Without the help and support of Rebecca and Mike, I would never have owned such a wonderful horse that has given me some of the best riding moments of my life. Thank you LG Sports Horses!